Philadelphia Jazz Project In collaboration with The New Africa Center, present Facing East: A concert celebrating Islamic influences and Islamic experiences in Jazz. The story of Islam in America is an interesting one, an understated one.... a journey. The tales of Jazz and how its Islamic influences emerge are just as fascinating. Being in Philly, we must start with two unlikey men. Dizzy Gillespie and John Coltrane. Although not Muslims, these men were crucial players in this story. Dizzy Gillespie was a pure leader and teacher, who inspired creative thinking and risk-taking in both one's professional and personal lives. During the late 1940s, Gillespie's big band would include many Muslim musicians, including a young Yusef Lateef and the influential, Talib Dawud. John Coltrane was one the first musicians to establish a creative dialogue about spirituality, and he was also one of the first mainstream Black stars to fearlessly embrace the Islamic community. He was married to a Muslim woman and his personal circle included others. Coltrane's influence would inspire many others to explore their spirituallity, which led countless individuals toward an exploration of Islam as well. The concert will feature musical compositions by artists like... John Coltrane, McCoy Tyner, Pharoah Sanders, Yusef Lateef, Ahmad Jamal, Rashied Ali, Art Blakey, Abdullah Ibrahim, Kool & The Gang and others. 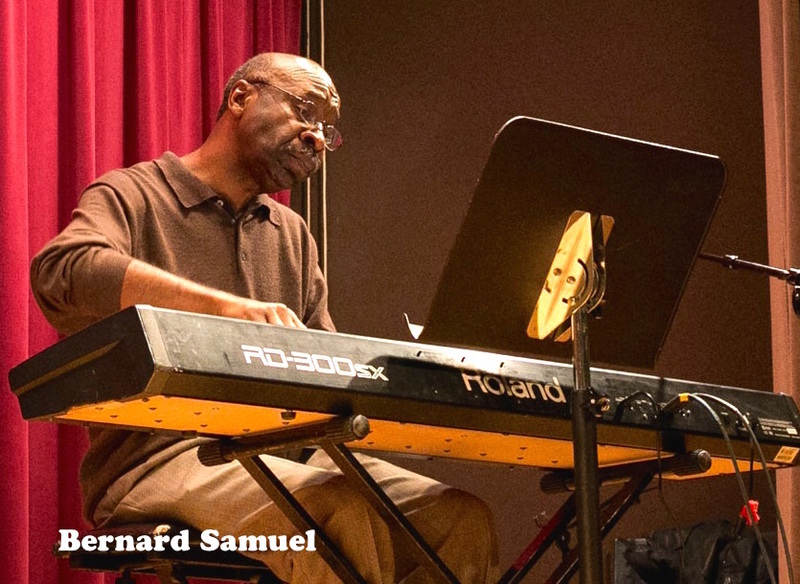 Bernard Samuel is a Philadelphia-based pianist with a "personal touch." He began playing while attending college, and has at it ever since. Drawing from the influences of R&B vocal groups like The Harptones and The Temptations, as well as the lyrical musical styling’s of great Jazz pianists, the likes of Hank Jones, Red Garland, Tommy Flanagan and Kenny Barron. Bernard Samuel mixes all of these influences to forge a style that's all of his own. Samuel has performed with such great artists as; Hank Mobley, Little Jimmy Oliver, Philly Joe Jones, Cecil Payne, Carl and Earl Grubbs, Roy Brooks, Jimmy Merritt, Tyrone Brown, Bootsie Barnes, George V. Johnson Jr., and Johnny Lytle. 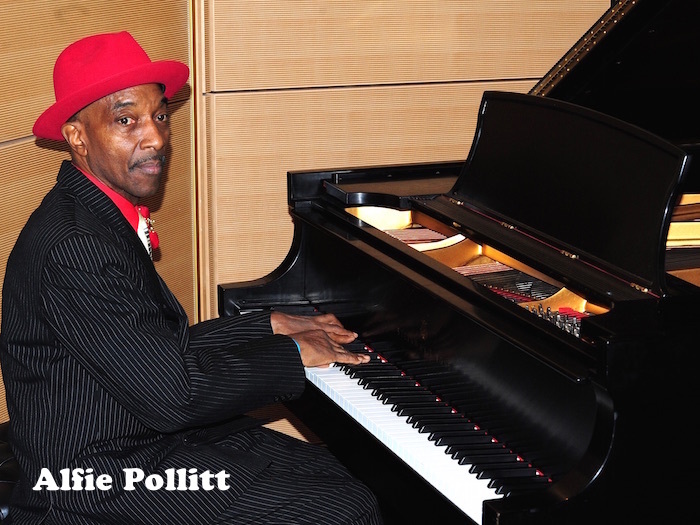 Mr. Samuel currently performs nightly at various hotels, restaurants and Jazz clubs throughout the Mid Atlantic region. PJP spoke with the Facing East project music directors, Alfie Pollitt and Bernard Samuel, as well as the New Africa Center founder and director, Abdul Rahim Muhammad about the project. PJP: You have your own Islamic roots. Tell us about them. Alfie Pollitt: Reading Malcolm X's autobiography as young adult in the late 1969s, helped to introduce me to concepts such as Black Nationalism, doing for self and kind, a healthier life style and positive thinking and work ethic. This led me to becoming a member of the Nation of Islam. Bernard Samuels: My Islamic roots are in the Nation of Islam. During the early ‘70s, when I was away in Virginia Union College, I met and was inspired by three brothers from the Nation of Islam; Lonnie Shabazz, Gerard X Green, and Benjamin 28 X. I was enlightened by a lot of things they taught me. A few lessons that had the most impact on me were the concept of ‘do for self’ and ‘want for your brother what you want for yourself’. Abdul Rahim Muhammad: I grew up as a member of the Nation of Islam. My parents and grandparents were followers of the Honorable Elijah Muhammad. My father was a minister in the Nation of Islam and he worked closely with Malcolm X and Wallace D. Muhammad [son of Elijah Muhammad] organizing setting up temples throughout the Philadelphia region. In 1975, I like many other members of the Nation of Islam, followed the leadership of Wallace D. Muhammad and transitioned into practicing Islam proper. PJP: What inspired the Facing East Project? Alfie Pollitt: The Facing East project as I see it, is a collaboration of musicians, songwriters, singers, and composers, who have participated in the Islamic religious experience here in the USA and to some extent the Philadelphia region. Bernard Samuel: I thought it was a good concept. It would be good to show the Islamic influence on the music, whether it was in the name of tune, or in the name of the musician. It was a good idea. You hear so much negativity now when people talk about Islam and it would be interesting to see the response. It would be especially interesting because the concert will take place around the time of the Democratic National Convention. It will be a revelation, a pilgrimage! Abdul Rahim Muhammad: Since The New Africa Center’s mission is to preserve the African American Muslim experience, and since so many Jazz musicians were and are muslims, it makes absolute sense that we should highlight this. We must tell others about the magnificent contribution of Muslim musicians to the Jazz tradition and bring awareness to the general public about this truth as well. In addition, this story of Jazz and Islam illuminates the realities and experiences of the early African American muslim community. It shows us how Black people in America who practice Islam got from there to here. This is an important story that must be told. PJP: Can you briefly describe your direction as composer/pianist? Alfie Pollitt: I strive to compose and pianistically perform in an organic, groove-oriented manner. Hopefully, my work positively touches those who witness and partake in the art experience presented. The goal is an exchange of ideas, energies and emotions. Bernard Samuel: WOW…I am self-taught and I had some musical mentors. Starting off with Granoff School of Music and then, Abraham Howard Jr. saxophone player, piano teacher Curtis Harmon, Sam Dockery and Joe Price. These were my early teachers. Early on I started writing a lot of songs. I would ‘capture the feel’. I tried to create music that spread some kind of care. It might have had African, Latin, or RnB rhythms. It’s about how I am feeling at the time of composing. I do architectural design work, so when I create music, I almost feel like I am drawing it, like I am telling a story, painting a picture. I cant’ get away from it. My direction is to always be telling a story, always be painting a picture! PJP: With this project, how do you manage the task of creating something that is fresh, new, and forwarding moving, while simultaneously exploring, celebrating and documenting the past? Alfie Pollitt: Of course, in preparation, I’ve been listening to work from the past. I will ask the creator to allow me to aurally synthesize what I’ve heard and experienced, with what is yet to come. Abdul Rahim Muhammad: Well, I believe that if you have a firm foundation and understand your past, you will know who you are. Only then, can you shape a future for yourself and your children. Those kinds of ideas were very important lessons that we learned from the Honorable Elijah Muhammad. Bernard Samuel: Since songs are already chosen, we will have arrangements that will automatically draw from the past. The newness of just the moment, the musicians playing ‘themselves’, and playing off of each other, will automatically move the music into the future. We’ve chosen musicians that are forward thinking and have enough knowledge to choose from. PJP: What advice would you give to your audiences to assist with greater understanding and enjoyment of this project? Alfie Pollitt: Pay attention to the interaction of all of the performers. A great performance is one that displays democracy. Each performance is both leader and at times support. Bernard Samuel: Just sit back and listen and take it all in. Because there will be some very creative performers! PJP: Why Jazz? When you could be doing anything else, why work with Jazz and Jazz artists? Alfie Pollitt: After being taught Western Classical music at a very young age, Jazz is the musical form that spoke to me in ways that still inspire, perplex and excite to this very day. Jazz is a thinking person's music. You've got to get deep, to get to it. Bernard Samuel: Interpretive music is what I fell into and it just happened to be Jazz! Coming out of the Motown and Doo Wop thing…Jazz, it has a hip sound and it swings. Even though, I do like to watch the people do the Wobble! 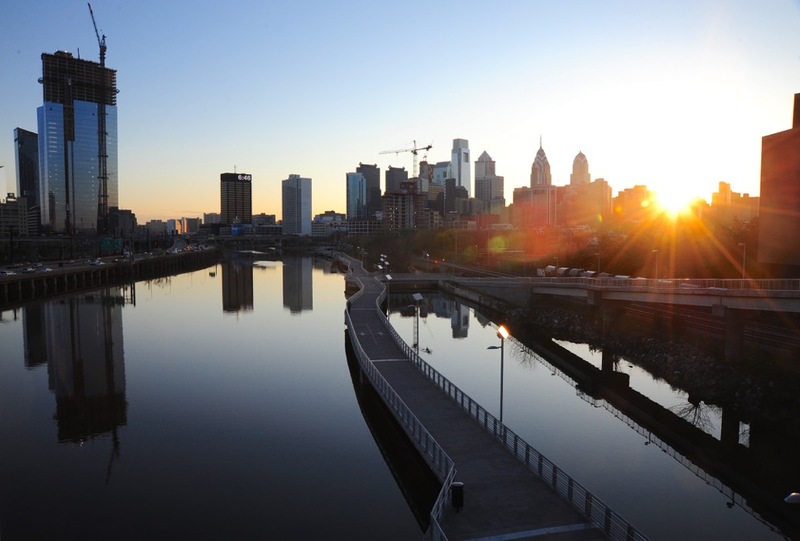 Abdul Rahim Muhammad: For 24 years, The New Africa Center has hosted the annual Islamic Heritage Festival and Parade at Penn’s Landing and Independence National Park, and each year our theme is unity and diversity. Jazz is part of that diversity. It is just one of of the many cultural expressions presented at the festival and parade each. For me, as a Black American, Jazz is deeply rooted in our American experience and muslim musicians played a role in creating that as well. Jazz is part of our cultural heritage as Black Americans. We share Jazz just like our Palestinian, Moroccan, Lebanese and other muslim brothers and sisters from all around the world share their cultural treasures. The New Africa Center is a Muslim American Museum & Archive. The Center's primary purpose is to preserve the African American Muslim rich cultural heritage and legacy to pass on to future generations. Unquestionably, Muslims have made an impact on the evolution of American society. Historically Muslims have made major contributions in the arts, the humanities and the sciences. The New Africa Center is located in West Philadelphia at 4243 Lancaster Avenue, Philadelphia, PA 19104.